Travels Along the Mekong: Ruminations on Temples, Touts & Tourists! We've spent the last couple of days whipping around Cambodia in a Tuk-Tuk revisiting many of the temples we saw last time we were here (5.5 years ago) as well as a few we missed. The weather hasn't been too bad. Hot but not unbearably so but still very humid. The temples were great to see again but didn't seem as spectacular as the first time we visited. I suppose that is always the case when you go back somewhere you've been before. The first time you are there everything is new and exciting and unexpected whereas subsequent visits you know what to expect. One of the things that made the temples not as interesting was the amount of reconstruction being done to many of them including Angkor Wat. It is hard to be as impressed when there is scaffolding all over a temple. Angkor feels much less adventurous this time around. All the roads in town and all the roads to the temples are nicely paved as opposed to the dusty, dirty, potholed roads that we traveled before. There are ticket checks at all the temples and it feels much more organized now. You used to be able to clamber all over many of the temples whereas now many areas are roped off and inaccessible now. The temples are still impressive but it feels more like visiting Disneyland than it does some far off remote part of the world. There are also many, many more tourists than there were 5.5 years ago which takes away a little of the uniqueness of the experience. One of the upsides of so many more tourists is the plethora of great restaurants around Siem Reap now. Last time we were here there wasn't nearly the selection of great restaurants there is now. That part of the increased tourist traffic we are very much enjoying. That and the 50 cent draft beers for happy hour! Finally the touts in Siem Reap are much worse than they were. They aren't overbearing but they are annoying. When you walk a few hundred meters down the street and 15 tuk-tuk drivers ask if you need a ride it can get a bit annoying. Did they not see you saying "No thanks" to the first 14 guys?? I understand they are just trying to make a buck but it still gets annoying pretty quickly. 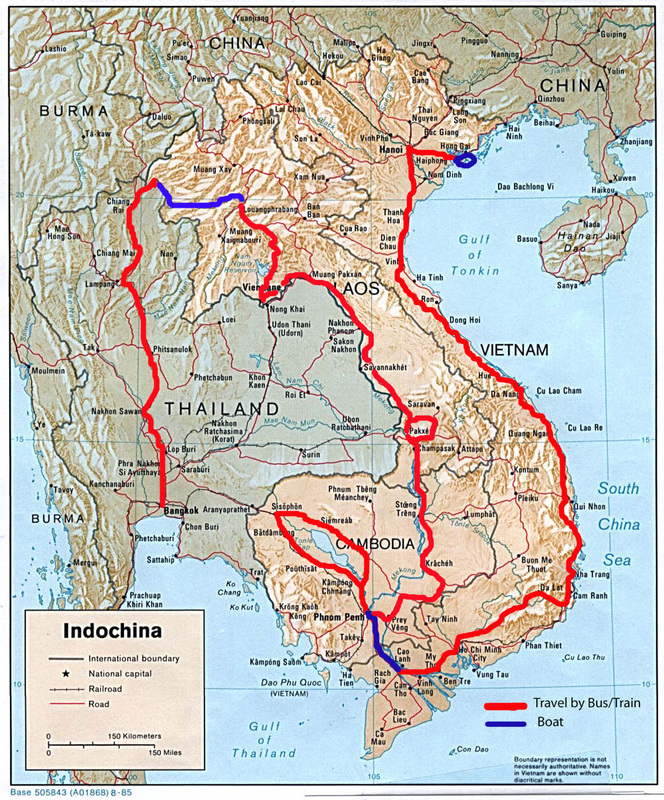 We are off to Phnom Penh on Thursday and then have a day there and on Saturday will begin the long slog to Laos. That should be fun!